Many provinces of the northern of Thailand, especially Lampang, Lamphoon, Chaing Mai, and Chaing Rai have a long history more than 2,000 years. People of these provinces have own utterance we call "Ou-Kam-Maung", and they have the favourite lifes which differ generally from other parts of Thailand such as eating, language, lifestyle, or their clothings. Thai people call the fantastic and great specifical culture and identification that " Lan-na" or "Thai Lan-na"
Our "Lan-na" collection of hats is made with base on our spirit of Thai Lan-na. "Lan-na" hats are really handicraft and rich with all of the northern arts. 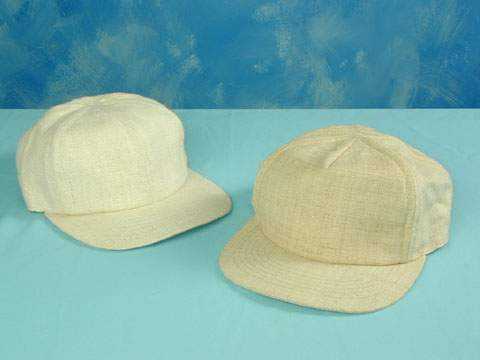 The hats are designed and made from the native fabrics - handcraft cotton 100%, native hemp, and Thai silk. For the present, the eco-friendly produces are gotten more interest than past and they are favourite trends of new generation. Hemp fibre is the fantastic fibre, it's a numerous useful plant such as making apparel which can restrain 95% ultraviolet rays, the seeds are an excellent nutritional source that can provide quality fats and proteins, making varnishes and lubricants etc. 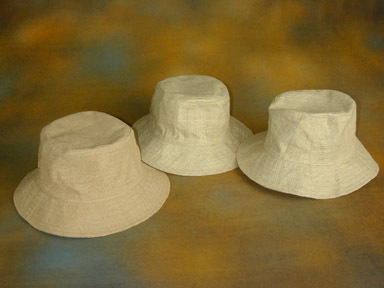 The bucket hat made from 100% nice hemp fabrics is in natural color of hemp fibre. The 5 or 6 - panel ball cap for your business, These can embroidery in your Logo on caps. 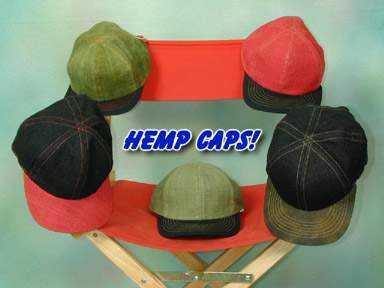 To make your business as well known and good image with your promotional hemp caps. "Yod Doy" means the top of mountain. The northest provinces of Thailand have many hills and mountains, the height is in Chaing Mai - "Doy Indhanon". This collection is made from dye hemp fabric in colors and we design in base on "Fun and Excited Traveling"
HC-01 design in 6-panel ball cap style, used 100% hemp of all, 5 colors in two tones are black, green, red, yellow, and navy. Vimanmala Trading & Hats Shop Lampang, Thailand. Activated since April 21, 2002.